After a long day of walking took us ultimately to the Pantheon, Richard and I walked around the Panthon neighborhood and found an excellent fromagerie. 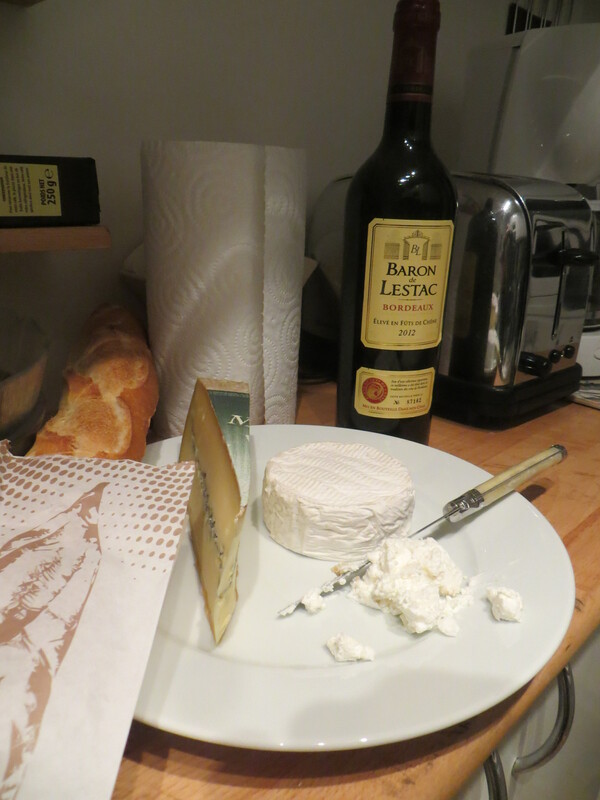 Some sheep’s milk cheese, some goat’s milk cheese, and some Morbier, a fresh baguette, and some wine purchased at the nearby wine shop, and we were ready to have a snack and play some cribbage. The bread, cheese, and wine here are very inexpensive but of very good quality. I would gladly eat cheese and baguette just about every day of the week.